The corporate secretarial services industry is said to be in a transition phase where innovations are ruling the roost, and encouraging growth figures are ensuring a host of new entrants into the market. Corporate secretarial service is incrementally gaining momentum in recent years. The corporate secretarial service providers also offer industry-specific services for various challenges including scenario planning, market assessment, process design, management of alliance, and others. Corporate secretarial services help in tapping the entire po.. The "Applicant tracking system (ATS) Market to 2025 by Deployment Model (Cloud and On-Premise); Component (Solution and Services); End-user (BFSI, IT & Telecommunication, Manufacturing, and Government) -Global Analysis and Forecast" The scope of study involves understanding on the factors responsible for this growth of Applicant tracking system (ATS) market along with the estimates and forecasts of the revenue and market share analysis and also spots the significant Applicant tracking system (ATS) players in the market and their key development.. Enhanced energy efficiency and life expectancy of the building to drive demands for different types of facades. The "Facades Market to 2025- by Material (Metal, Wood, Concrete, Ceramic, and Glass); Application (Residential, Commercial, and Industrial) - Global Analysis and Forecast". The scope of study involves understanding on the factors responsible for this growth of Facades Market along with the estimates and forecasts of the revenue and market share analysis and also spots the significant facades players in the market and their key devel.. Kitchen Countertop Market to 2025 - Global Analysis and Forecasts by Type (Granite, Solid Surface, Quartz, Marble, Laminates, and Ceramic Slab); Application (Commercial and Residential); and Geography - Global Analysis and Forecast The construction sector is escalating at a sturdy growth rate in the developed regions across the globe. While on the other hand, in the developing regions, the industry is experiencing a substantial growth rate. Investments in infrastructure construction industry is continuously growing across the globe. The majo..
With increasing infrastructural developments in the developing countries as well as the developed countries, progress of visualization and 3D rendering software market is also experiencing a significant rise. The growth in the demand of the software is also highly dependent upon the growth of industries such as media & entertainment, architecture, construction & building, design & engineering, healthcare, and others. The visualization and 3D rendering software caters to the designing and development demands of various end users including med.. According to a new market research study titled ‘Healthcare BPO services Market to 2025 - Global Analysis and Forecasts by payer service, provider service and pharmaceutical service. 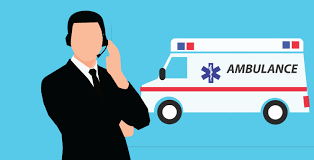 The global healthcare BPO services market is estimated to account for US$ 416,431.8 Mn by 2025 as compared to US$ 192,131.6 Mn in 2017, growing at a CAGR of 10.4% during the forecast period from 2018 to 2025. The report highlights the trends prevalent in the global healthcare BPO services market and the factors driving the market along with those fact as restrain..